Intelligence has been defined in many different ways including, but not limited to, abstract thought, understanding, self-awareness, communication, reasoning, learning, having emotional knowledge, retaining, planning, and problem solving. Intelligence is related to humans, animals, plants and machines (artificial intelligence). A comprehensive definition of intelligence is controversial, what is considered intelligent varies with culture. Psychometrics are often used to measure Intelligence. 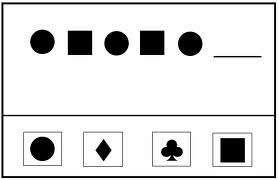 An intelligence quotient (IQ) is used to assess intelligence. The abbreviation IQ comes from the German term Intelligenz-Quotient, originally coined by the psychologist William Stern. IQ is a score derived from one of several standardized tests. When a new IQ test is normed, the standard scoring is calculated so they conform to a normal distribution with a mean of 100 and a standard deviation (SD) of 15. The intention is that approximately 95% of the population scores an IQ between 70 and 130 (within two SDs of the mean). The average IQ scores for many populations have been rising at an average rate of three points per decade since 1930, a phenomenon called the Flynn effect. It is disputed whether these changes in scores reflect real changes in intellectual abilities. Attempted explanations of the IQ rise have included improved nutrition, a trend toward smaller families, better education, greater environmental complexity, and heterosis. People having an IQ higher than 130 are considered as very intelligent. Organizations supporting people who are within a certain high percentile of IQ test results are called High IQ societies : the oldest, largest and best-known such society is Mensa International (website : www.mensa.org). The Theory of Multiple Intelligences, as a model of intelligence that differentiates intelligence into various specific modalities, rather than seeing it as dominated by a single general ability, was proposed by Howard Gardner in his 1983 book Frames of Mind.